The book is rebound in dark green (?) boards with gilt to the spine. 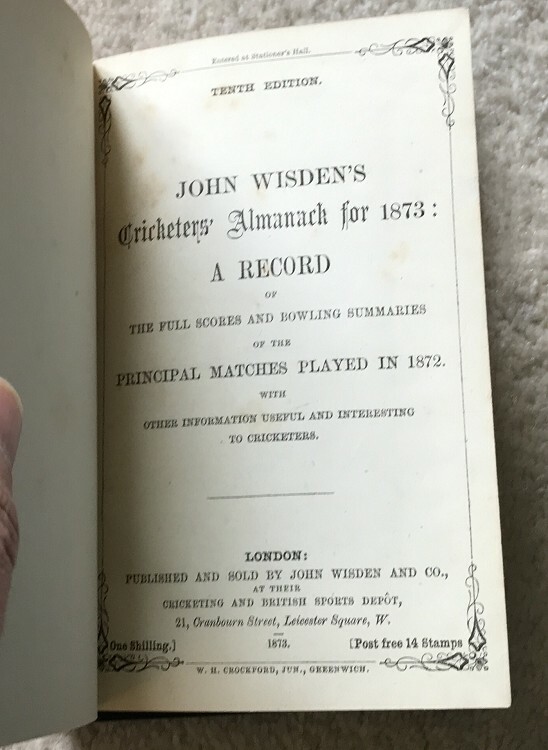 It is bound without the covers but the rest of the book is complete, nice clean pages inside some close trimming but not too bad, a very nice early Wisden.